Urban Kubez Gabions are modular. Link them, Stack Them, Fill Them! Create a single or multi-level retaining structure or use them as stand alone feature walls. From low profile edging right through to mass retaining walls, we have your job covered. Ask us how we can reduce the cost of your project, We have the experience and the knowledge! Our standard sizes range from 300mm to 1m height, lengths from 500mm through to 2 meters and widths from 300mm through to 1 meter. The diversity of the Urban Kubez range and configurations ensure every size is available to suit your project and budget. If you require a size out of the ordinary then we'll simply make it. 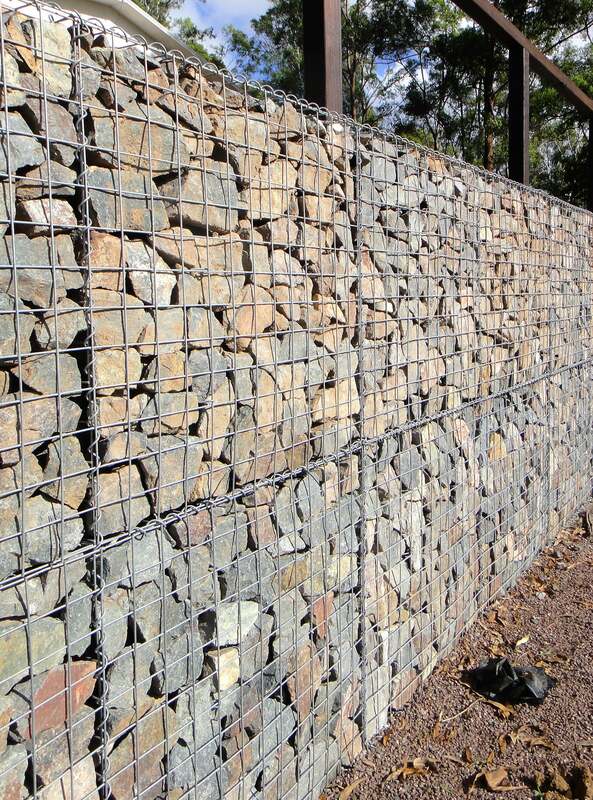 Need gabion rock - We can help, Require the services of an installer, Let us advise you where to get great service. 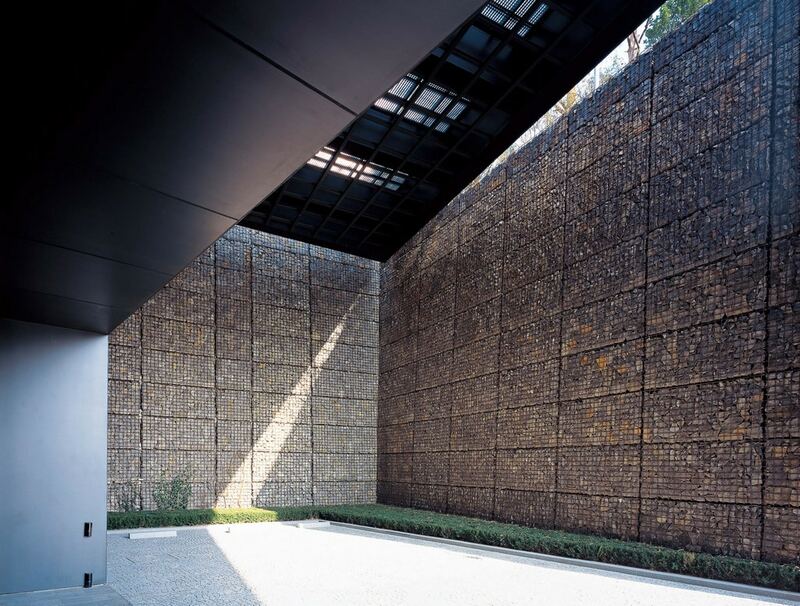 Urban Kubez Gabion retaining walls make a clear statement of modern design, are safe structures and comply with Australian and International standards for your piece of mind. Urban Kubez gabion cladding has distinct advantages for decorating dull and boring concrete walls. Zero graffiti, Zero damage, Zero maintenance, there is no better feature wall on the market. Installation is straight forward and carried out in similar fashion to regular gabion structures. Gabion wall cladding has been popular in Europe and North America for many years, now available in Australia through Urban Kubez we are here to assist builders, designers and contractors take the concept forward into new and existing developments and other commercial applications. By using our sturdy mesh panels, Urban Kubez gabion cladding can be taken to new heights with special fastening systems to safely pin the structure back to an existing concrete wall. Get in touch with us today and lets discuss the next award winning project. 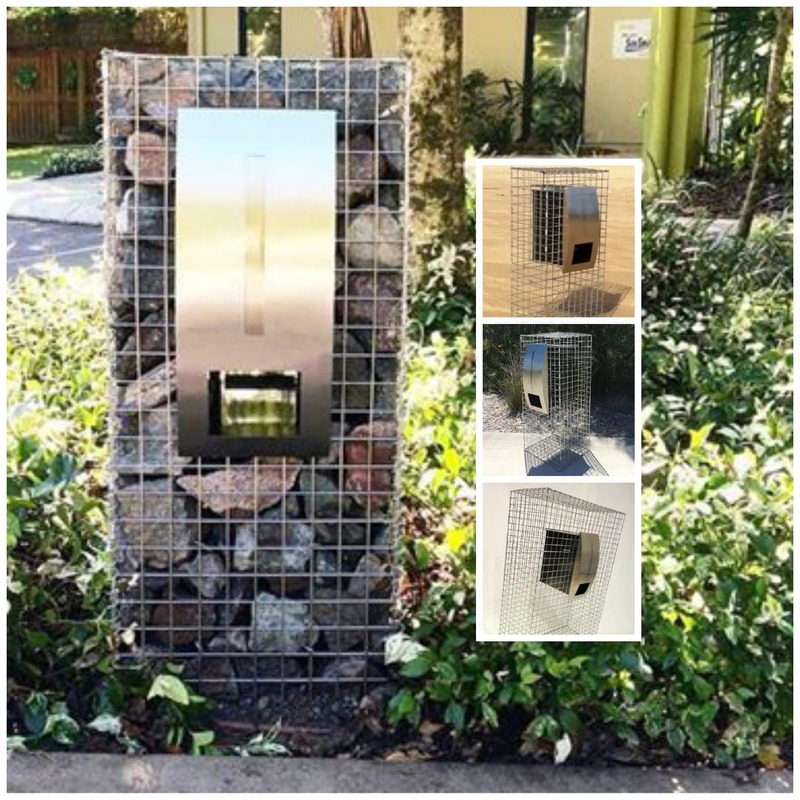 An exclusive range of beautifully crafted stainless steel gabion letterboxes fabricated locally. 3 models to choice from or custom sizes available upon request. Made from 316 marine grade stainless steel mesh and low profile clips for elegance and clean edge look. Prodigy 316 - The smaller brother in the family, also sporting a modern Euro style curved face panel, rain flap and lockable rear door. It's footprint is slighter than the others however its pedigree is obvious. Allure 316 - It's the hero model in the series with it's mid size profile and hard hitting visual impact.The Elite 316 commands respect. Measuring in at 1.2m high and 800 wide this gabion letterbox really makes a statement in front of any home. What ever model you choose, be assured its designed and built in Australia with the finest materials and nothing to spare. Every home is unique, that's why we encourage new ideas and creativity for custom size models including radically different concepts. Material selection is limitless with various mesh options, stainless steel street plaques and house numbers, industrial accents, cor-ten steel plates with laser cut details, powder coated aluminium strips and the list goes on. Whether its indoors or outdoors Urban Kubez can be the focal point of your next creative project. The versatility of gabions gives way for new designs and concepts across many industries with feature gabions. We can make Retail Counters, Internal or External Bars, Seating, Planter Boxes, Landscape Features, Garden accessories and the list goes on. If your a D.I.Y, Landscape Architect, Contractor, Builder or Project Manager then we want to hear from you. It's time we took the industrial element straight into modern building, fit-out and streetscape design. Whilst stone is very economical for traditional gabions we can install a series of internal panels to feature based gabions creating a partitioned section. 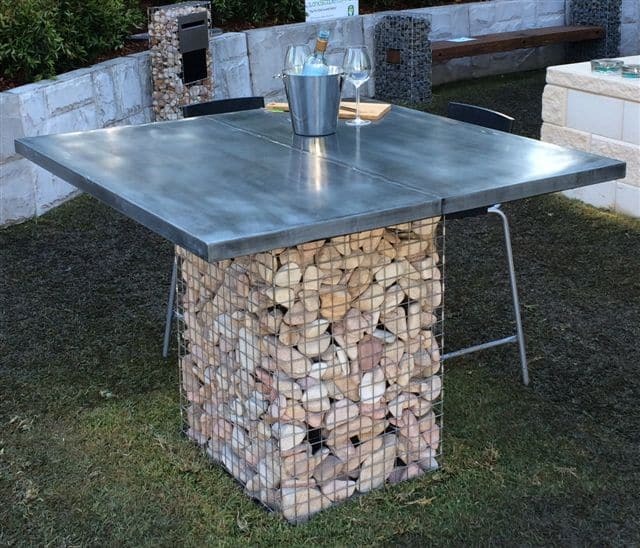 Therefore decorative fill can be utilised around the facing areas of the gabions - the door to creativity just opened up possibilities such-as colourful glass rocks, bottles, lighting or other materials while still maintaining the budget. We work closely with other like mided businesses so we can provide timber bar tops, zinc and copper patina table tops and concrete seat capping. The possibilities are limitless! Urban Kubez gabion cages are the modern take on the traditional woven (chicken wire) concept. Our weld mesh material is second to none and is the material of choice among engineers and construction companies for large scale walls. The steel weld mesh used in our gabions is manufactured locally in Australia offering superior quality control and faster turn around times. Gabions are perfect for retaining earth, particularly when claiming back valuable land on private property. With limited footings required and robust construction method the Urban Kubez gravity wall system is going to outlast all other retaining systems by decades while maintaining high aesthetic appeal. Major benefits of gabion walls include free flowing drainage, modular design, flexible structure with no cracking or splitting, graffiti proof and zero maintenance . Urban Kubez can be installed DIY with guidance and advice or by professional construction personell. Either way we'll make sure your gabion project is going to be successful ! Urban Kubez Gabion Cage Assembly Guides! 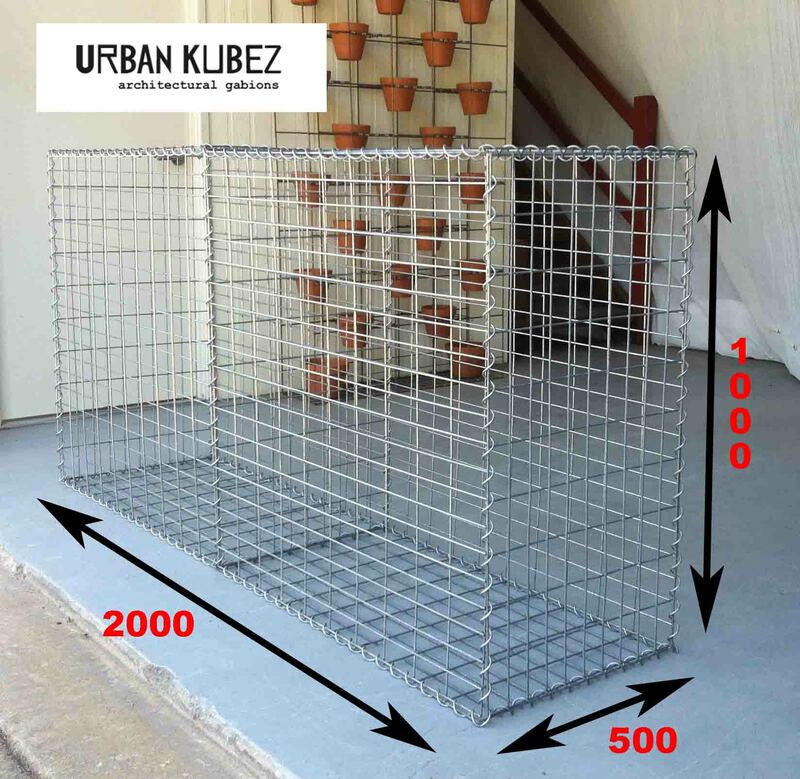 Urban Kubez – The #1 Gabion Cage Kit Set!